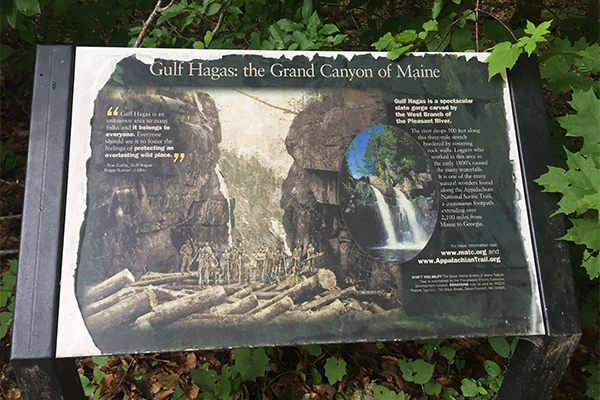 In just under nine miles of hiking, a visitor to Gulf Hagas can explore and take pleasure in about a dozen natural features, including four officially named waterfalls, dozens of unnamed cascades, tempting swimming pools, a gorge often referred to as “The Grand Canyon of Maine,” and two scenic rivers: Gulf Hagas Brook and the West Branch of the Pleasant River. 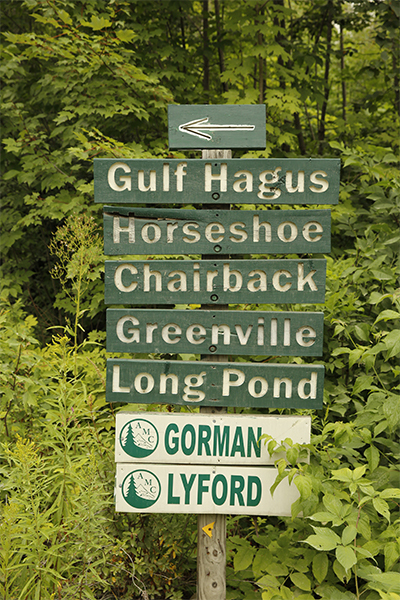 Managed through the cooperative efforts of the National Park Service, the Maine Appalachian Trail Club, and KI Jo-Mary, Inc., Gulf Hagas offers an easy-to-follow trail system that allows hours of day-trip enjoyment. 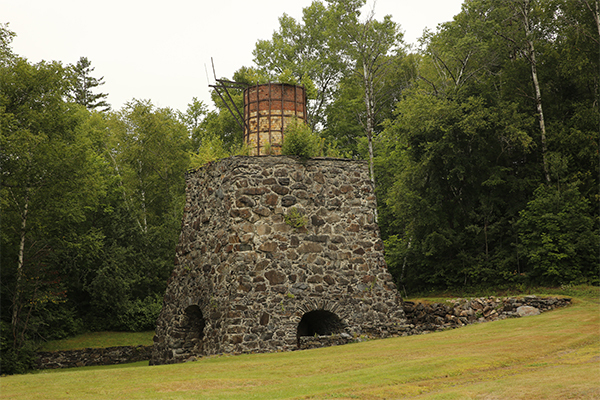 This is easily one of Maine's finest day hikes. 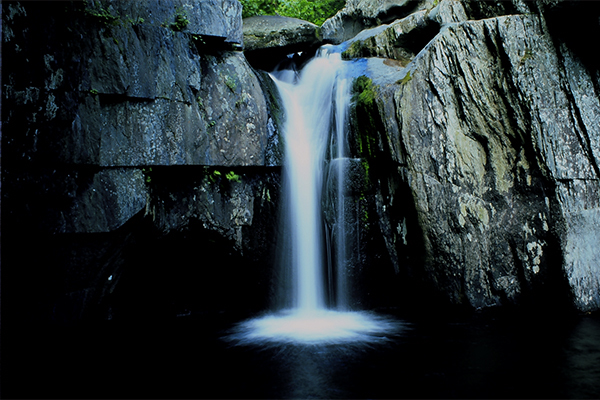 With so many natural features (and so many chances for both exploration and swimming), it is no surprise that the waterfalls of Gulf Hagas rank among the most popular in the state. 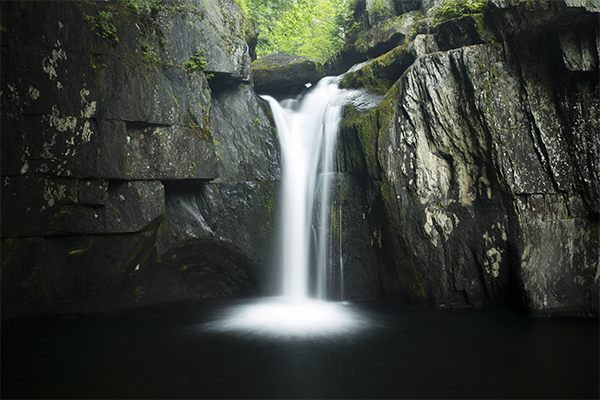 Luckily for you, the majority of the waterfall crowds remain at Screw Auger Falls, never bothering to venture along the rim of the gorge to the falls that lie upstream. 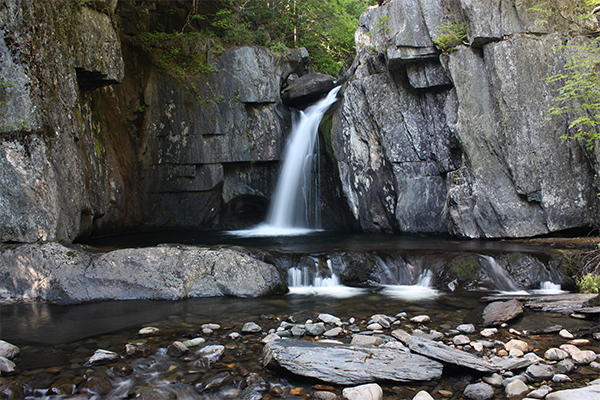 All falls warrant the effort required, as each is beautiful and scenic in its own way. 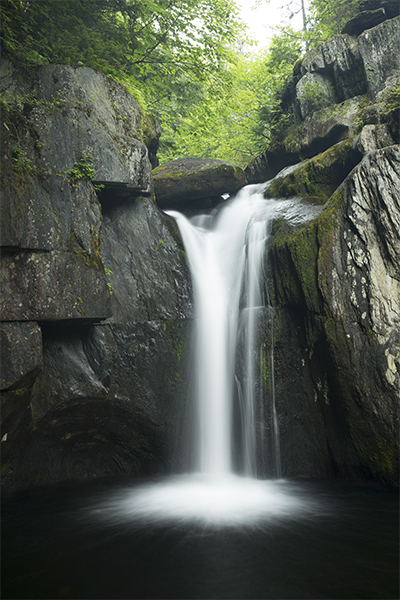 Screw Auger Falls is the most photogenic of all falls on the hike. 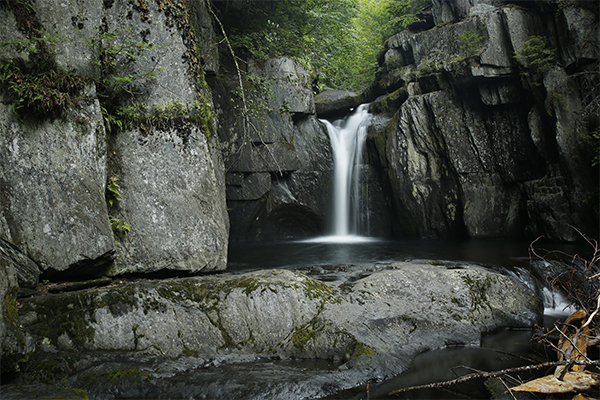 At this falls, Gulf Hagas Brook drops 15 feet in a punchbowl formation into a deep, dark pool encircled by a bowl-shaped rock wall. 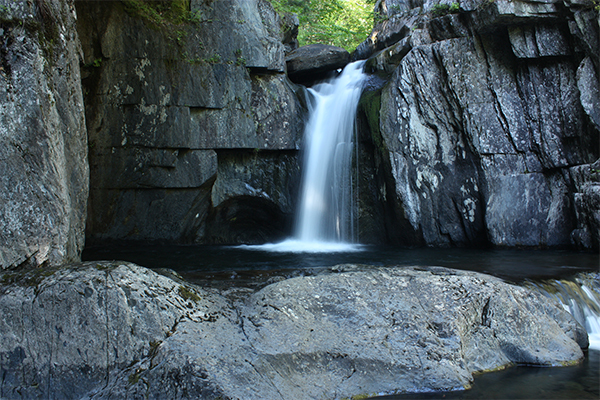 The pool, although small compared to other classic swimming holes in Maine, still manages to be quite refreshing for the five or six visitors it can fit at any point in time. 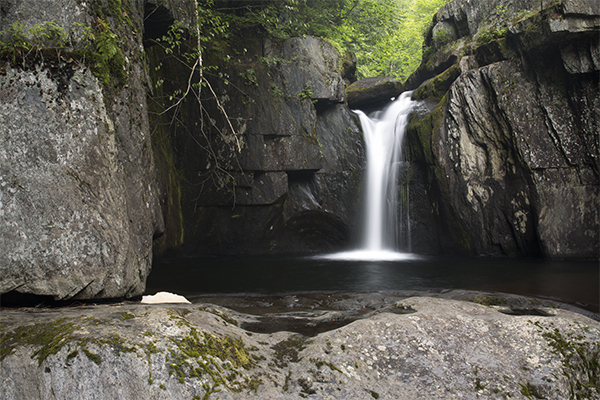 Cliff-jumping may seem tempting here, but downed trees sometimes lurk in the dark pool. You will want to scout the pool before partaking in any such activity. 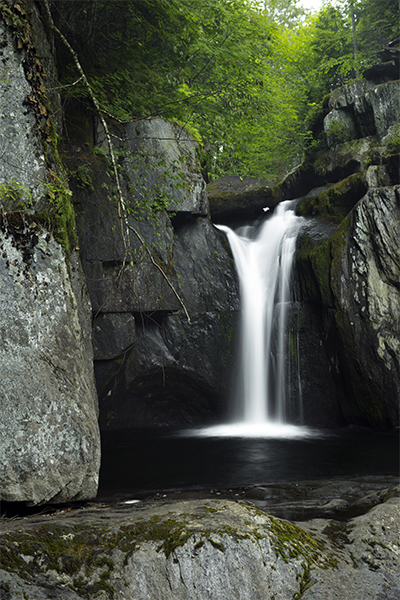 Other unnamed waterfalls lie above and below Screw Auger Falls. 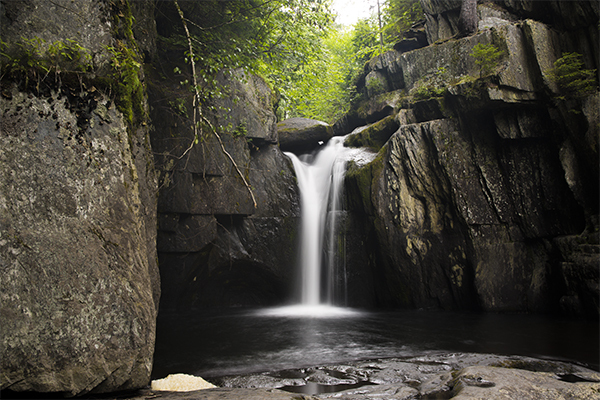 Some of these additional falls also have enticing swimming pools of their own. 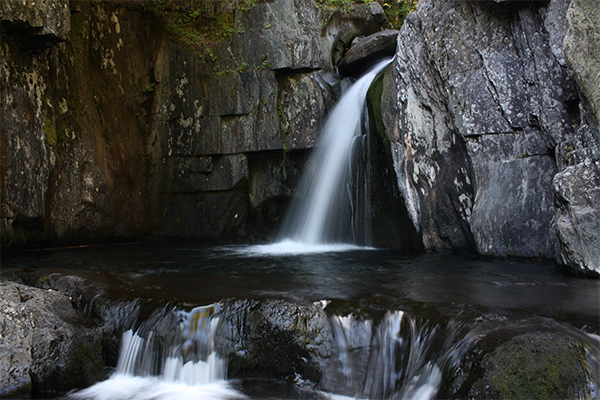 Three more officially named waterfalls are accessed by continuing past Screw Auger Falls along the rim of the gorge. 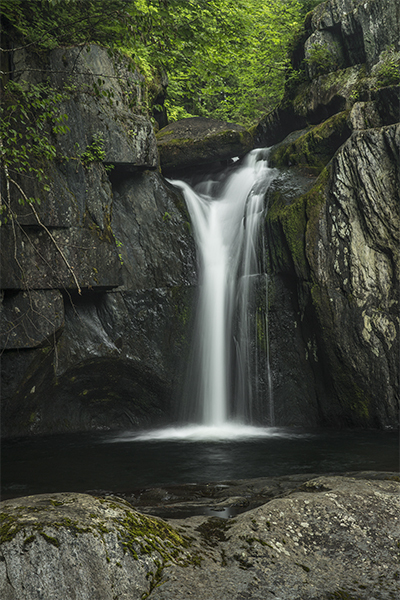 The first additional waterfall, about 3.3 miles from the trailhead, is Buttermilk Falls, a 10-foot horsetail with a portion of its water diverting its way down a perpendicular slide to the right of the main route of the water. 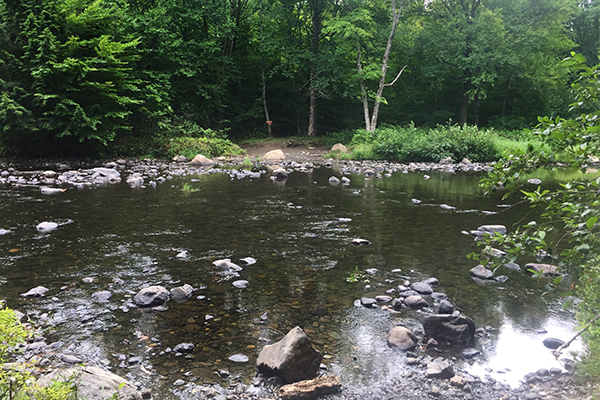 There is a large pool here that is often swum in by several people on any given summer day, but the water can have a slightly foamy appearance. 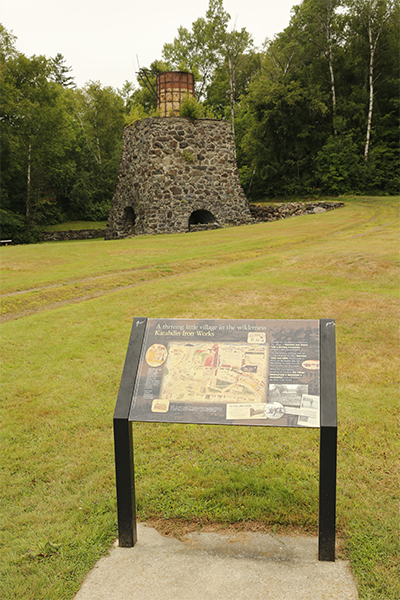 Beyond Buttermilk Falls lies Billings Falls, a 15-foot plunge with unobstructed views of the canyon, and Stairs Falls, an extensive system of little stairs cascading over jagged steps. Just 4 feet in height, Stairs Falls is short but quite interesting, and is only feet from the main trail. The final stop of the trip is the Head of the Gulf. At mile 4.0 from the parking lot, the “Head” is a good place to rest your legs, as it is located at about the halfway point of the hike. 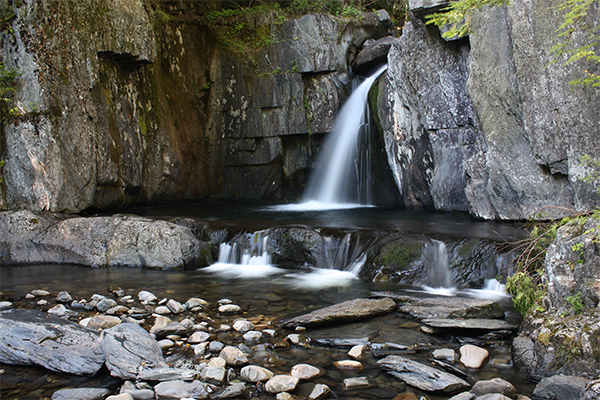 There are several cascades and small pools to admire before setting out on the return trip back to the parking area.